The achievement of the week is the win by Causeway Comprehensive School in the Munster Colleges Under 16.5 B Hurling Championship. In the final played at Ballyagran last week they defeated Blackwater Community School, Lismore (Waterford) by 4 - 11 to 3 - 9. The team was captained by Oisín Maunsell (Abbeydorney). The full panel was: Keltyn Molloy (Lixnaw), Seamie Ó Fuaráin (Ballyheigue), Daire Nolan (Kilmoyley), Cian McCarthy (St. Brendan’s), Mikey Clifford (Abbeydorney), Darragh Slattery (Ballyduff), Graham Slattery (Ballyheigue), Kevin Goulding (Ballyduff), Ronan Walsh (Kilmoyley), David O’Mahony (Ballyheigue), Conor O’Sullivan (Ballyheigue), Mikey Kelliher (Lixnaw), Rory Mahony (Crotta), Ruairí Donovan (Abbeydorney), Oisín Maunsell (Abbeydorney). Darragh Quinlan (Ballyduff), Darragh McKenna Conway (Lixnaw), Tomás Gaynor, Daniel O’Loughlin, Jordan Goggin (all Ballyheigue), Gearóid Quilter (Causeway), Jack Enright, Tommy O’Grady, Kyle O’Connor, J.P. O’Carroll, Aaron McCabe (all Ballyduff). Bainisteoir John Joe Delaney. 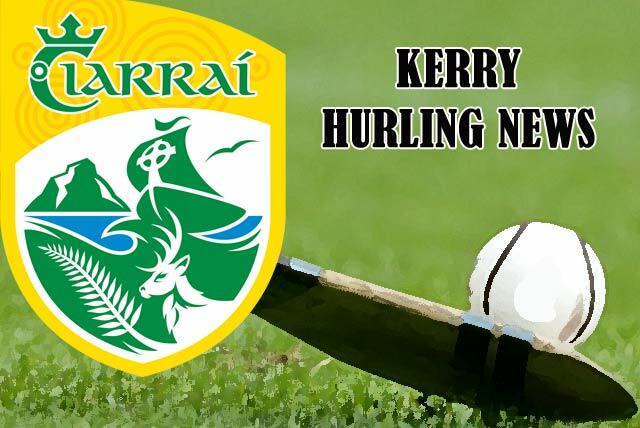 Other Kerry schools had good hurling successes also last week. In the Munster Under 19 E hurling competition on Friday, Tralee CBS had a 3 - 16 to 2 - 8 win over Waterpark College (Waterford) while Mercy Mounthawk, Tralee had a 5 - 24 to 3 - 5 win over Coláiste Mhuire, Cobh 3-5. Both have home quarter finals this Wednesday. Details on the Munster Colleges G.A.A. website http://munstergaapps.ie Well done to all involved, in particular to the teachers who put so much time into promoting Gaelic games. Tralee Parnells Hurling Club aims to move on from their recent juvenile successes to start fielding teams in adult competitions in the years ahead. Following a recent meeting of 2018 minors, mentors, parents and club officers, plans are underway to compete as a club at under 21 level next season. In addition the club will officially launch the revival of adult camogie in the Tralee area on this Friday, 23 November at the Meadowlands Hotel, Tralee at 8.00p.m. and anyone interested is welcome to come along. Lixnaw won the North Kerry Minor B Hurling Championship on Thursday last when they defeated Ballyduff in the Final by 1 - 13 to 0 - 12. The game was played under lights at the John Mitchel’s G.A.A. Complex. The winning captain, David Allen, was presented with the Jimmy Walker Memorial Shield by Pat Dineen, Cathaoirleach, Bord Iomána Ciarraí Thuaidh. Player of the Match was Colin Waltz and match referee was Tom Godley.